« A Very Versatile Salad! 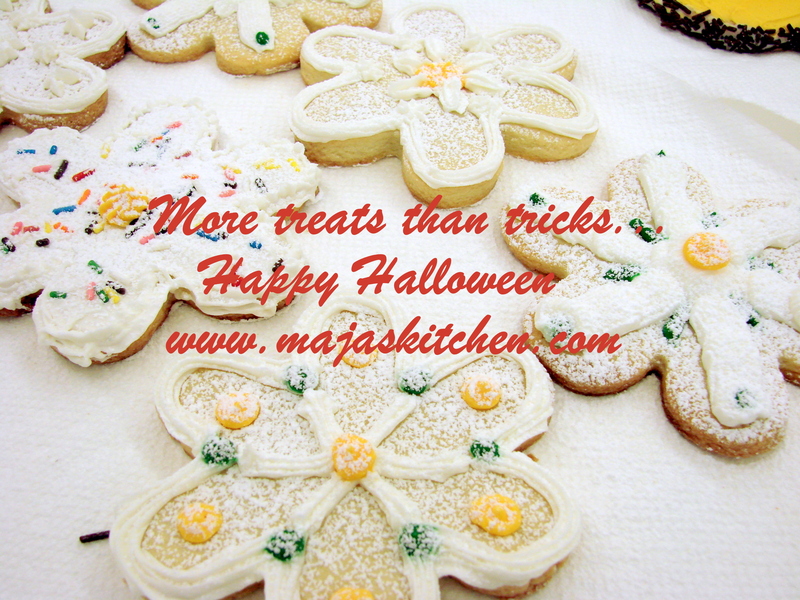 Happy Halloween….to all my Word Press friends…. Hope it is spooky and lots of fun! In the spirit of Halloween…. 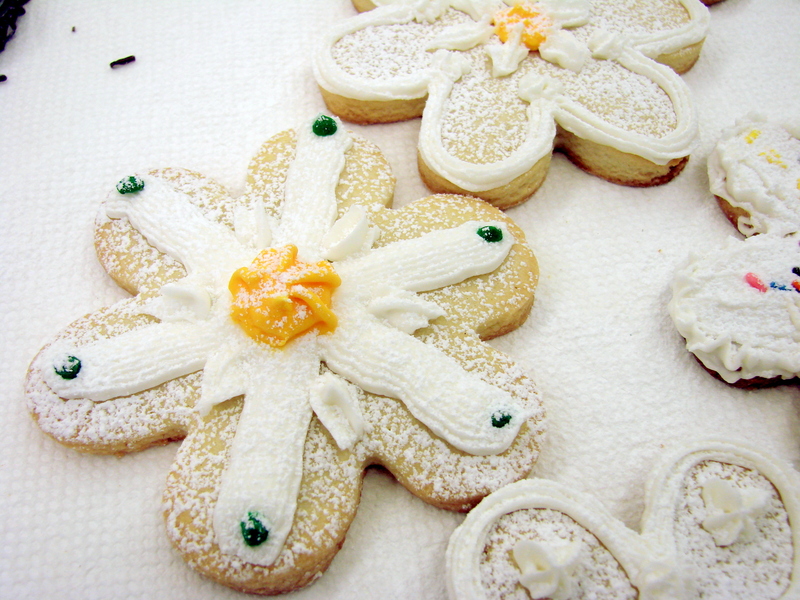 I made some cookies and painted them with royal icing…. for giving away, wrapping everyone in plastic wrap…. It is a simple butter cookie dough…rolled it out about 1/8 inch thick and baked…at 375 F until slightly browned. It needs to be like thick pancake batter…. 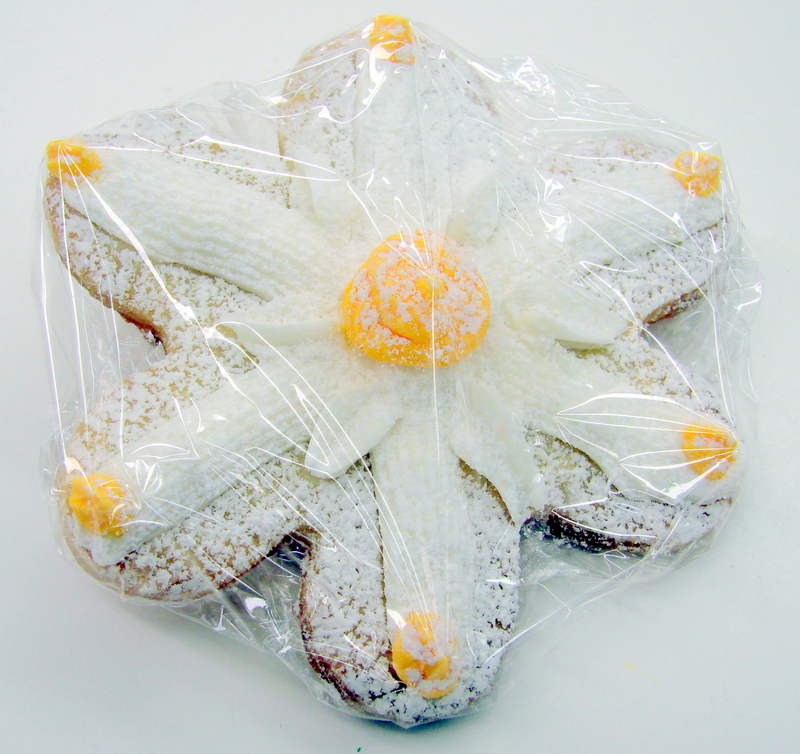 Transfer the royal icing into a small plastic bag and close it with a twisty…. Cut a very small opening on one of the corners of the bag….and, proceed to decorate….. 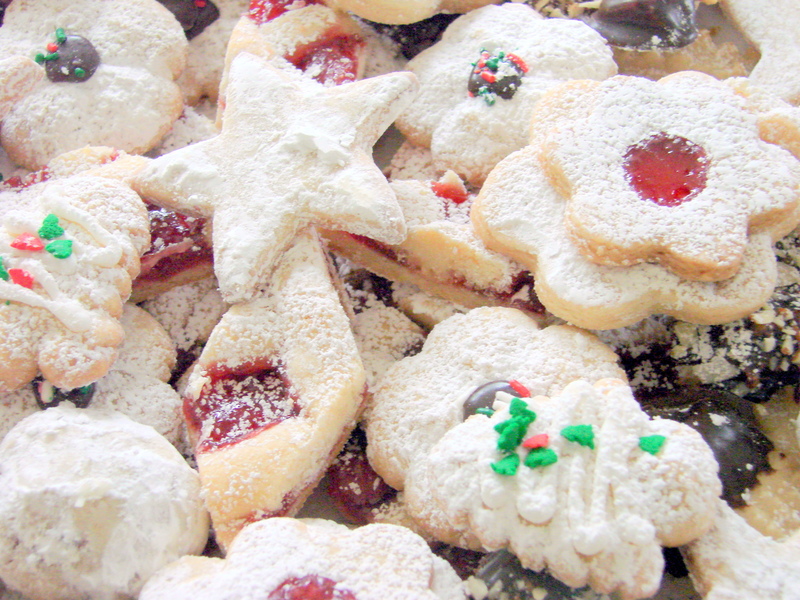 I use this butter dough recipe for all my Christmas Cookies! Isabel…it is so nice of you to send me a comment….and such kind words on top of it….hope all is well with the two of you…hugs to all! Love this post! Keep them coming. Hi Claire….I am not as prolific as you are …but, I will try and keep sending my posts….thanks for the encouragement….love it! Sure wish we were on your trick-or-treat list! Mary Lynn…it would have been quite a surprise if you would have appeared at our door….would have love it….hugs to both of you…. AMEI. FAÇO A TRADUÇAO E COPIO AS RECEITAS.SÃO ÓTIMAS! Dacidalva…I think I have at least an inkling of what you wrote…I think you said that you copied the recipe and that they are very good…am I correct..? I do not speak your language….I am so very sorry….a big hug to you….